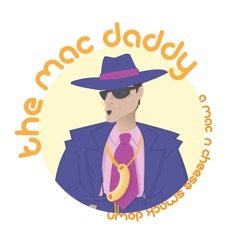 Cheapeats, Inc. Blog » Who Makes the Best Mac & Cheese in NYC? Glug down Goose Island beer as you sample your way through this competition, featuring masterful mac-and-cheese riffs from the city’s top comfort-food purveyors. Just like the winter’s Big Cheesy grilled-cheese showdown, indulge in these delectable dishes and cast your vote for the Time Out–curated contender you want crowned as New York’s top macaroni. Reserve your spot today! Tickets are available in one-hour time slots from 11am-6pm on March 29 at Openhouse Gallery, and include tastings from six Time Out-curated mac-and-cheese contenders, plus two beers compliments of Goose Island. Who will be the winner? You have to be there to find out. This entry was posted by Rosemarie on Sunday, March 22nd, 2015 at 6:26 pm	and is filed under American/Comfort, Events, Manhattan, Nolita. You can follow any responses to this entry through the RSS 2.0 feed. You can leave a response, or trackback from your own site.